Drawing on the rich experience of his own life, best-selling author Paulo Coelho takes us back in time to relive the dreams of a generation that longed for peace and dared to challenge the established social order. 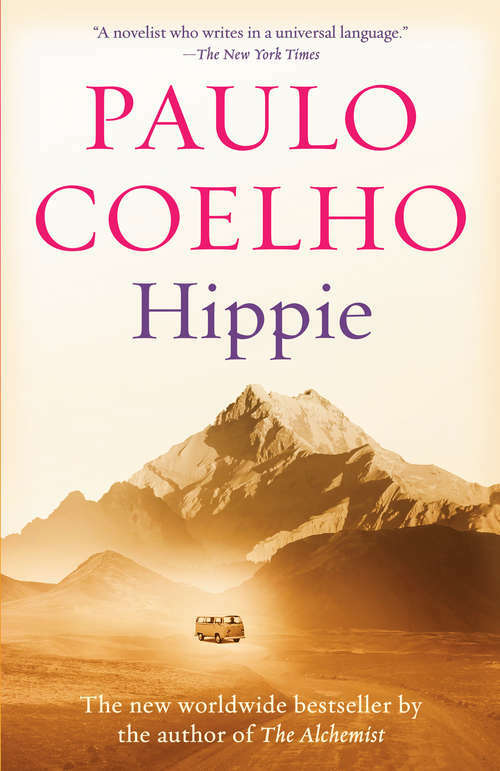 In Hippie, he tells the story of Paulo, a young, skinny Brazilian man with a goatee and long, flowing hair, who wants to become a writer and sets off on a journey in search of a deeper meaning for his life: first on the famous “Death Train” to Bolivia, then on to Peru, later hitchhiking through Chile and Argentina. Paulo’s travels take him farther to the famous Dam Square in Amsterdam filled with young people wearing vibrant clothes and burning incense, meditating and playing music, while discussing sexual liberation, the expansion of consciousness, and the search for an inner truth. There he meets Karla, a Dutch woman in her twenties who has been waiting to find the ideal companion to accompany her on the fabled hippie trail to Nepal. She convinces Paulo to join her on a trip aboard the Magic Bus that travels across Europe and Central Asia to Kathmandu. They embark on the journey in the company of fascinating fellow travelers, each of whom has a story to tell, and each of whom will undergo a personal transformation, changing their priorities and values along the way.